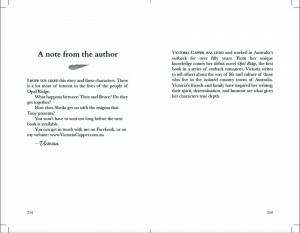 This has been a long and rewarding project for both the author and Australian eBook Publisher. 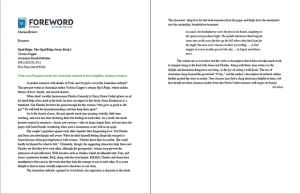 The customer first came to us with a manuscript for assessment. 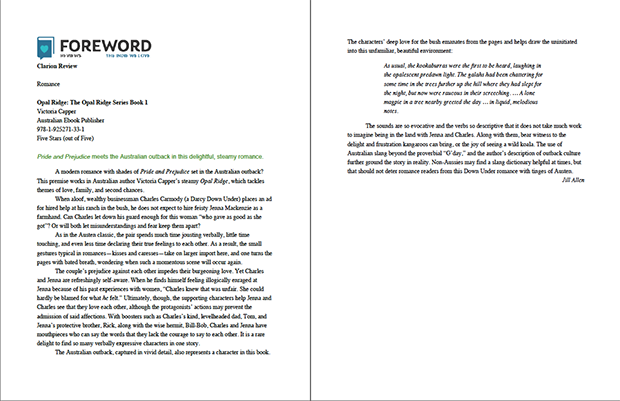 After the assessment, we completed a full line edit in December. 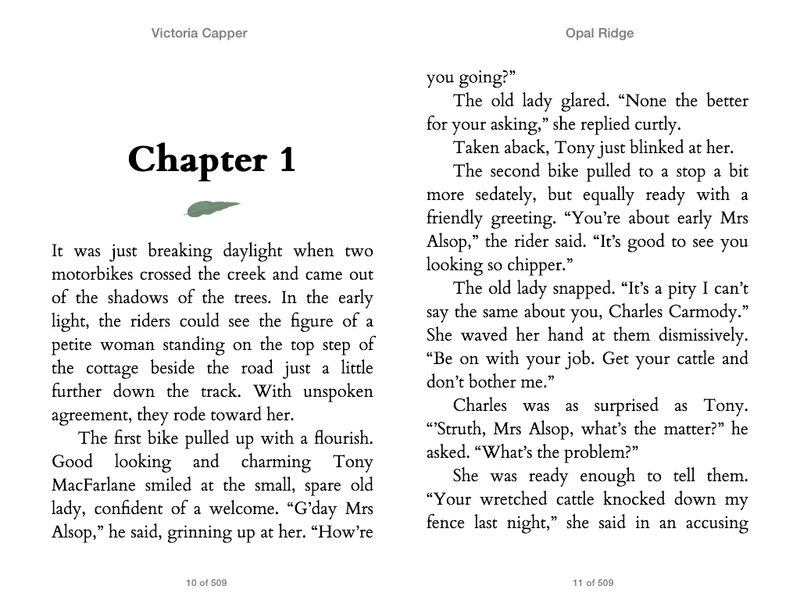 In the new year we converted the manuscript into a reflowing mobi with our special Ebook Designer’s Touch™. 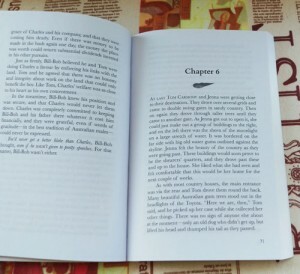 During the ebook conversion process, the client took on our marketing services, to much success. 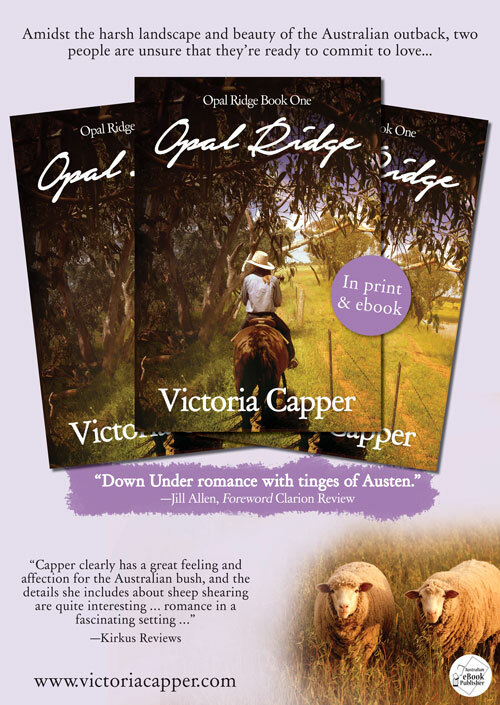 We analysed her target market and genre and provided Victoria with a solid marketing plan, including a cover design brief. 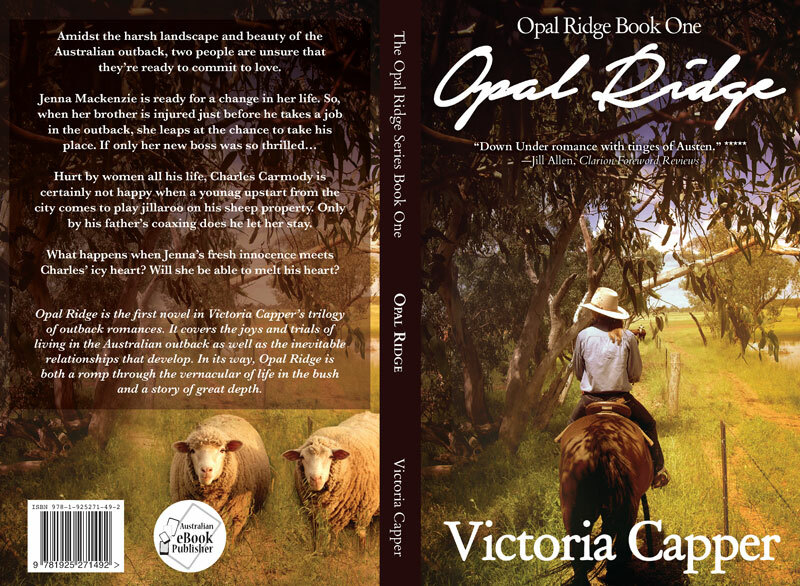 Victoria engaged an external party to create a cover to our brief, as well as setting up her own social media accounts and arranging for a website to be designed. 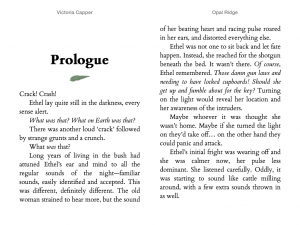 Before we had yet aggregated the ebook, Victoria decided to arrange a print-on-demand version as well. 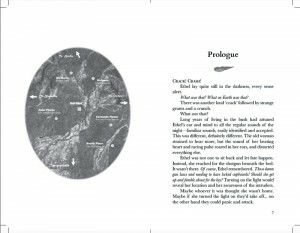 We then, inspired by the Ebook Designer’s Touch™, created a print layout of the book. 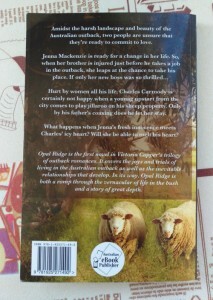 We also adjusted the cover for print and designed a completely new back and spine. With marketing efforts like a blurb edit, a review package, and more, Victoria has had remarkable success. 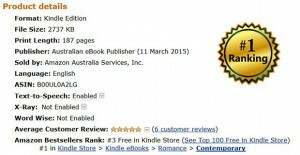 We’re ecstatic to see her book doing so well. Amidst the harsh landscape and beauty of the Australian outback, two people are unsure that they’re ready to commit to love. 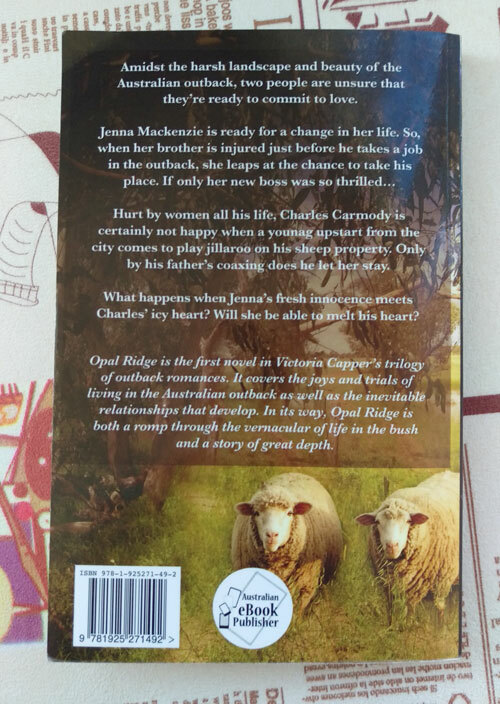 Hurt by women all his life, Charles Carmody is certainly not happy when a young upstart from the city comes to play jillaroo on his sheep property. 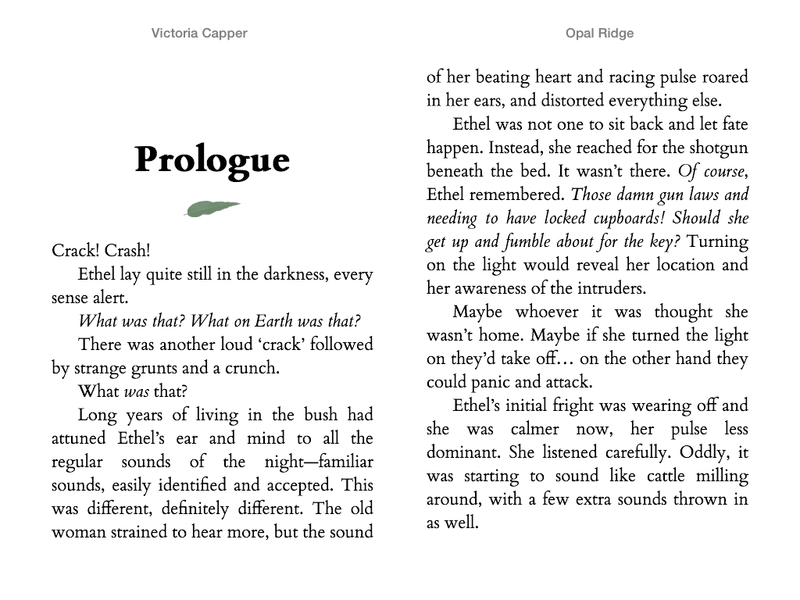 Only by his father’s coaxing does he let her stay. 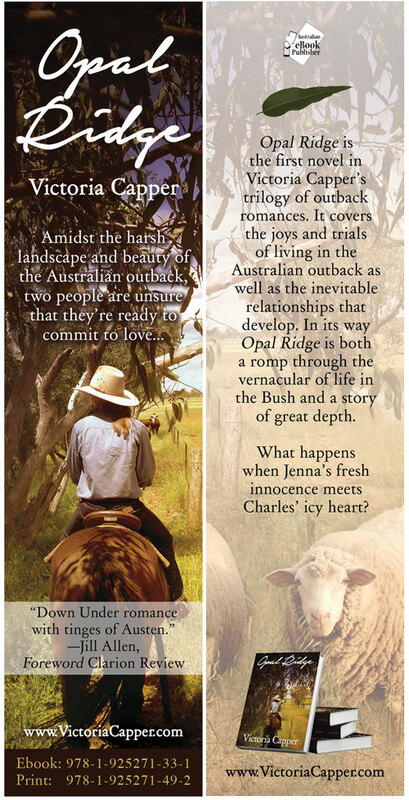 What happens when Jenna’s fresh innocence meets Charles’ icy heart? Will she be able to melt his heart? 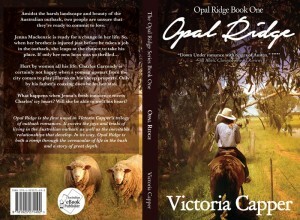 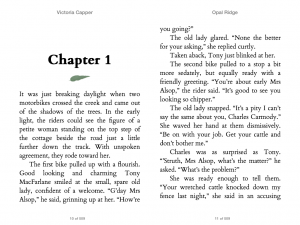 Opal Ridge is the first novel in Victoria Capper’s trilogy of outback romances. 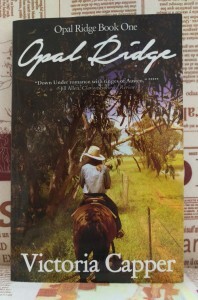 It covers the joys and trials of living in the Australian outback as well as the inevitable relationships that develop. 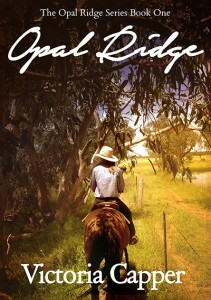 In its way Opal Ridge is both a romp through the vernacular of life in the bush and a story of great depth.